Black Tze currently plays the bass and sings for the trio, Guntzepaula. Black Tze grew up in southern Taiwan and as a young kid he was exposed to a lot of New Wave music, with Tears for Fears his earliest memory of music. He then came into contact with a wide array of music genres when he worked at a record store in Taipei, including blues, funk, jazz, psychedelic rock, and fusion. However, heavy metal that was quite the rage in the 80s and early 90s was something that he never got into. As his peers were practicing on their guitars songs by bands like Guns N' Roses, Bon Jovi, and Judas Priest, Tze was listening to completely different and eclectic sounds, including music by the Red Hot Chili Peppers, Bootsy Collins, Jeff Beck, Stevie Ray Vaughan, Led Zeppelin, or Primus, and others in his age group saw him as a freak. Musically, he was mentored by Jeff Chen and inspired by many other musicians who came before him. ‧ 2014 Guntzepaula debut album, HUOZHONG, which won Golden Indie Awards Best Rock Album and Tze won Best Musician of the year. Guntzepaula is a trio with a set of drums, a guitar, a bass, and a mic. Their sounds are experimental and often include improvisational playing with illustrious slap bass riffs. In 2008, a divine cosmic power brought the three founding members of Guntzepaula together. They began just messing around, playing, having fun, and covering some fusion licks. With each riff and every beat, Guntzepaula began to gradually take shape. They have since played at festivals and big and small venues in both Taiwan and abroad and released two albums. 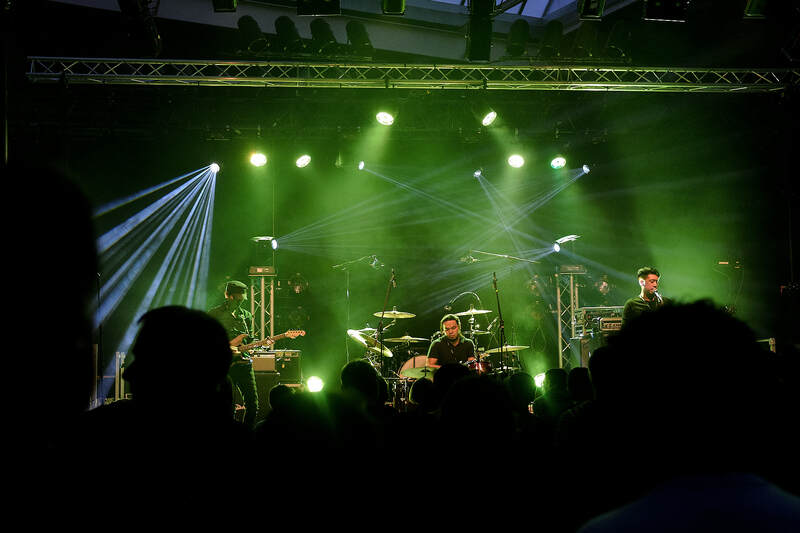 Their debut album, HUOZHONG, was released in 2014, and was nominated for six Golden Indie Awards and won Best Rock Album and Best Musician of the year. Guntzepaula released its second album, BLACK LOTUS, in June 2016, and was nominated for Golden Indie Awards’ Best Rock Album and Best Musician of the year.